On a cold damp dreary day the rugby did little to brighten up the supporters day. With a Brighton Stalwart celebrating his 86th birthday, I wondered what he made of this drab performance by both sides, “nothing like the games in his day” he gleefully replied! Brighton took a lead on 6 minutes and this was the highlight of the half as both sides seemed intent on making a catalogue of errors in both handling skills and at the set piece. Chobham welcomed back Ryan Gregory after many week absence, but not even he could muster much from the Surrey Men, who may have been focusing a little too much on their annual night out at the seaside town. Brighton took a 5-point lead into halftime. After the restart Chobham looked to try and gain more territory with the wind at their backs, this unfortunately did not materialise as their kicking seemed to end up down their full backs allowing them to counter attack all too easily. On 60 minutes Chobham chose to kick the 3 points rather than go for a line out and drive, Liam Monaghan kicking the goal. From the resulting kick off leading to errors in handling by the Chobham back line allowing the Brighton fly half to pop over a drop goal cancelling out the penalty two minutes earlier. On 70 minutes Chobham had a further chance to get into the Brighton 22 by using a well won penalty to kicking ti touch, once again they chose the penalty kick for 3 points, this time to the fury of the travelling band of supporters. Monaghan hit the goal and Chobham still trailed 8 -6. Chobham had very few attacks in the opponents 22 and so when the chances were given them with penalties they turned down the option. With the game wandering it’s way to the full time whistle, Brighton who had been the more adventurous scored their second try of the game to take a 13 point to 6 lead, and this was to remain the score at the fulltime whistle that followed seconds after the restart. It was disappointing that Chobham did not make more inroads into Brighton territory and when the chance arose maybe they chose the wrong options, but the young coaching team will learn from this and hopefully put this right in the coming weeks, starting with a home game next Saturday versus Havant. 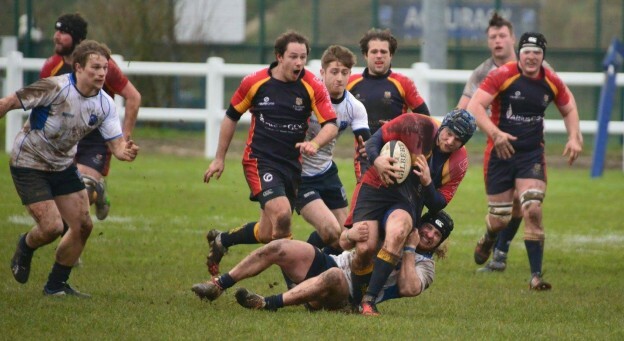 Chobham will be looking to avenge the 22-20 defeat back in October.